Lightpro Wall Lights There are 5 products. 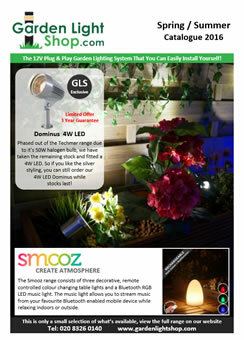 This Lightpro system is a new concept in outdoor 12v lighting. 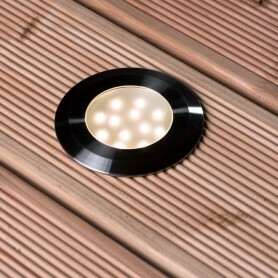 Manufactured by Techmar in Holland, it is the result of over 15 years trading in the 12volt outdoor lighting market. It is a Trade Only system that not only makes the design of the system easier, but also speeds up the installation time due to it utilising a high quality plain cable and heavy duty clamp on connectors. The cables can be laid first and lights fitted at any stage later on. 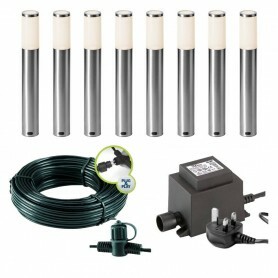 Lightpro outdoor / garden lights are perfect for installing in gardens as well as commercial settings. The 12v Lightpro system is plug and play. Simply connect your Lightpro cable to your Lightpro transformer and connect your Lightpro post lights to the cable using Lightpro's award winning clamp on connector. All Techmar lights can be used with the lightpro system (please call us to discuss). Lightpro has a maximum cable run of 80-100mtr (loading dependant). A complete Lightpro lighting system also comes with a full 5 year warranty for added peace of mind for you and your clients. 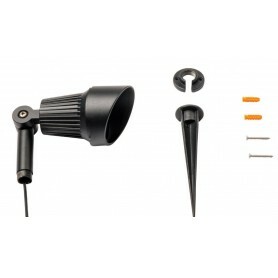 Lightpro's modern garden lights come with spikes for borders and mounting plates for concrete and decking areas. The contemporary design would suit the most modern of gardens and roof terraces, in fact any outdoor space you need to illuminate. New for 2019 is great range of new lights including the worlds first range of dimmable spot lights. Recently introduced is the Polaris and Kuma wall light. Upto 500 lumens of light, sleek design and quality materials ensure that these new wall lights create the right effect in the garden. The Polaris gives a stunning halo light effect, whilst the Kuma focuses the light downwards. As with all wall lights, 3mtr of included cable makes installation very quick and simple. The Topaz outdoor wall light with its modern stainless steel design looks stylish whether you are lighting fence panels or walkways. All Lightpro fittings come with a female connector (137A) and a 5 year warranty when used within a complete Lightpro system. The Pearl is not only a great wall light, it can be used as a floor mounted or spiked spotlight as well. 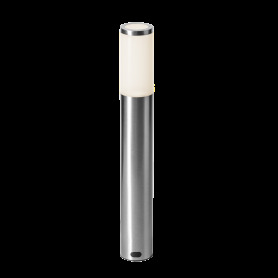 Due to it's soft diffused output, the pearl is a great spotlight for seated areas. Great all rounder. All Lightpro fittings come with a female connector (137A) and a 5 year warranty when used within a complete Lightpro system.